Does the death penalty apply to teens? When Billy was fifteen years old, he and his brother and two friends brutally murdered Billy′s brother-in-law. Billy kicked and shot the victim in the head, slit his throat, and dragged his body, chained to a concrete block, to a river where it remained for almost four weeks. Billy was transferred to adult court, tried by a jury, and sentenced to death for first-degree murder. Billy appealed his case*, which was eventually heard by the U.S. Supreme Court. 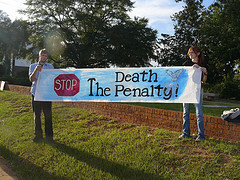 In 1988, the court issued its decision, which remained the law regarding juveniles and the death penalty until 2005. The court stated that the execution of any person under sixteen at the time of his or her offense would offend civilized standards of decency: “[M]inors often lack the experience, perspective, and judgment expected of adults. . . . The normal fifteen-year-old is not prepared to assume the full responsibilities of an adult.” Billy′s death sentence was set aside, and he was resentenced. Then in 2005, the U.S. Supreme Court extended its view to all minors including those who were sixteen and seventeen years old at the time of the crime. In the case of Roper v. Simmons (2005)**, the court commented that juveniles are more vulnerable or susceptible to negative influences and outside pressures, including peer pressure. However, once you turn 18, you are considered an adult and, in those states that have the death penalty (34 as of 2011) you would be eligible if convicted of a capital offense (murder or treason). Most juveniles on death row across the country were resentenced to life with or without the possibility of parole at a future date. Little Known Fact: In 1646, a law called the Stubborn Child Law was passed in the Massachusetts Bay Colony. It stated that teenage boys age 16 and older who disobeyed their parents or were rebellious could be put to death. This was based on the Old Testament. *Thompson v. Oklahoma, 487 U.S. 815 (1988). **Roper v. Simmons, 125 S.Ct. 1183 (2005). To read more about 17-year-old Christopher Simmons, whose case resulted in the abolition of the juvenile death penalty, see “Teens Take It To Court [Young People Who Challenged the Law and Changed Your Life]” by Free Spirit Publishing (2006). In 1982, the Supreme Court commented on the death penalty for juveniles: “Youth is more than chronological fact. It is a time and condition of life when a person may be most susceptible to influence and to psychological damage.” Eddings v. Oklahoma, 455 U.S. 104 (1982). As of October, 2018, there are 19 states that have abolished the death penalty in the U.S. Executions have dropped from 98 in 1999 to 23 in 2017. 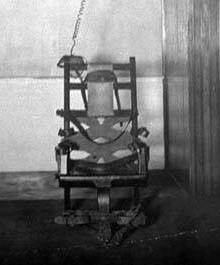 That leaves 31 states and the federal government with capital punishment for adults. A 5-4 decision from the Supreme Court in June, 2015 (Glossip v. Gross) upheld the use of certain drugs in executing an inmate on death row. Justice Breyer in a lengthy dissent wrote that long delays between death sentences and executions may themselves violate the Eighth Amendment. Innocent people have been executed. Death row exonerations are frequent and death sentences are imposed arbitrarily. He further commented that there was scant reason to believe the death penalty deterred murder and that the death penalty is unreliable. More than 150 prisoners sentenced to death since 1973 have been exonerated by DNA or other evidence. This may pave the way to the eventual banning of the death penalty in the U.S.
“Critique of the Juvenile Death Penalty in the United States: A Global Perspective” by Lori Edwards, 42 Duquesne Law Review 317 (Winter 2004). “Too Young to Die: Juveniles and the Death Penalty: A Better Alternative to Killing Our Children: Youth Empowerment” by Sherri Jackson, 22 New England Journal on Criminal and Civil Confinement 391 (1996).